CASA of Natrona County is registered with Amazon Smile. That means Amazon will donate 0.5% of the price of eligible purchases made through AmasonSmile to our organization! Simply go to smile.amazon.com and select Court-Appointed Special Advocate of Natrona County as your charity. 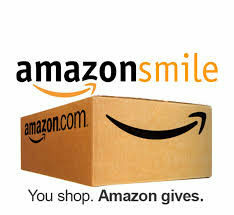 Then, every time you shop with Amazon, remember to go to smile.amazon.com rather than amazon.com and a portion of your purchase will go to our CASA. 1/2% is not much, but it adds up! Click Here to go straight to the link. Smiths Food and Drug will donate 0.5% of your purchase total to CASA of Natrona County whenever you shop. 2. Sign into your digital account or choose “Create an Account” and fill in the information. Enter your organization’s number GX612 and click ‘Search’, select the organization and choose ‘Save’. Then, every time you shop at Smith’s with your Rewards Card, they donate 0.5% of your total order to our nonprofit. Learn more about what is going on with CASA through our quarterly newsletter.